While They Snooze: Baby Boom! Wha... what?! 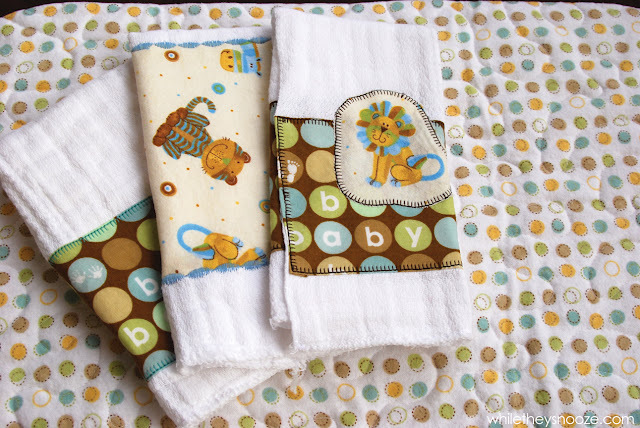 More baby stuff? Yep. Having a bit of a boom lately. Happened to me with weddings... I was in 3 in one year once... Now everyone is having babies. 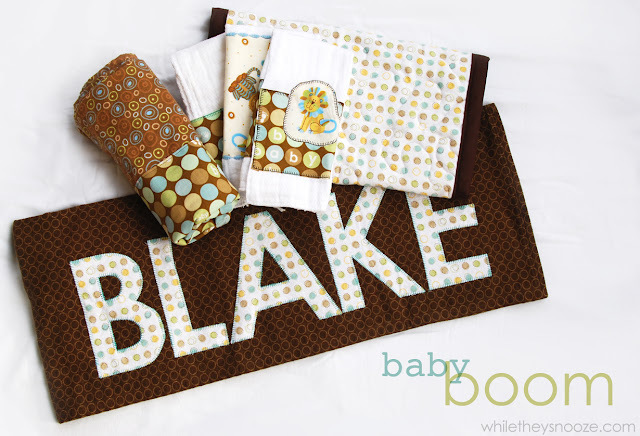 This time, my brother and his wife are expecting their first boy, Blake. Baby Blake is due any week now too... just like Lexi... who, as of today, is still baking in her mama's oven. Can't blame her... warm and cozy in there. So what'd I make? All kinds of stuff. 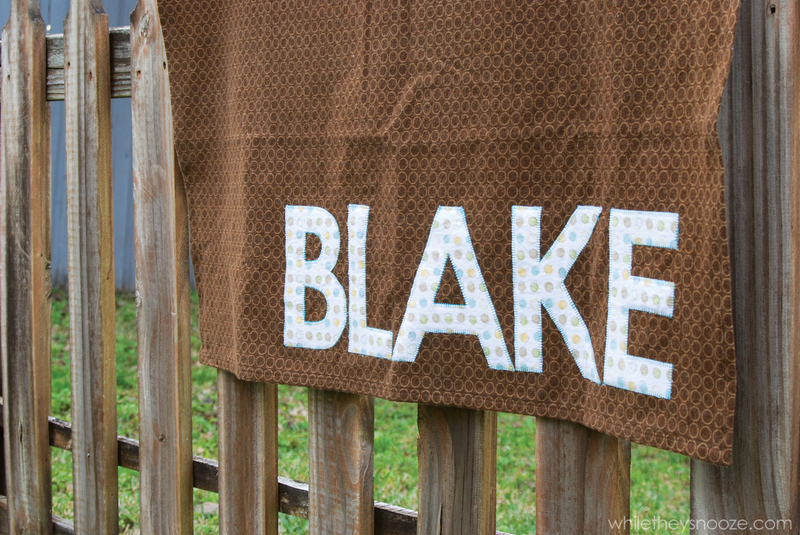 First up, a "BLAKE" blanket just like I made for Alexis. I did everything exactly the same except there is no strip of fabric behind the name. 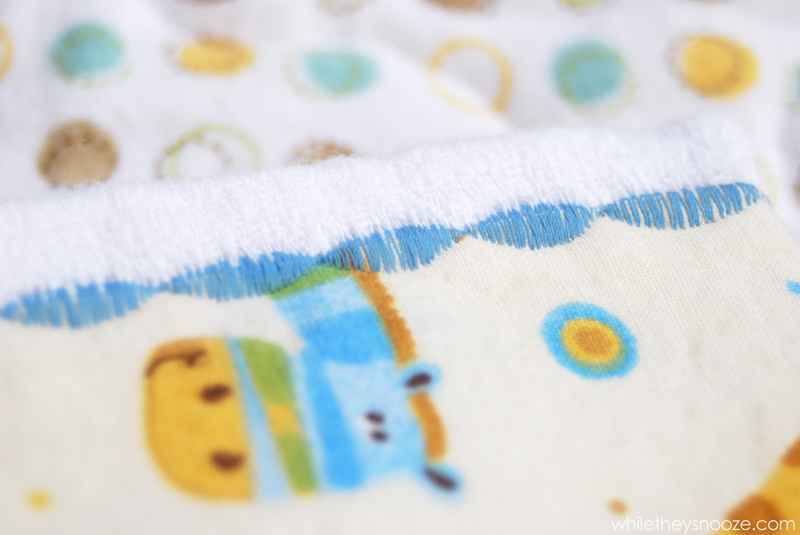 I saved the stripe fabric design for blanket #2. Cute receiving style blanket with rounded corners this time. 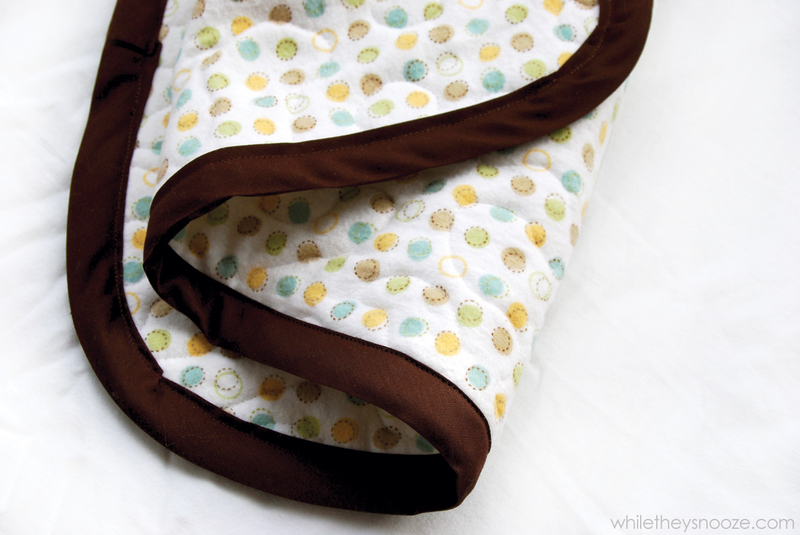 I think if I make this style blanket again, I'm going to try and make it reversible. This one is just folded under twice and hemmed. Then I made some burp cloths. Why didn't I have an interest in sewing when I had kids?!?! I could have made so much cute stuff. Probably because I wasn't sleeping and breastfeeding 24hrs a day.... yep, that's probably why. Never mind. No Heat N' Bond on these. 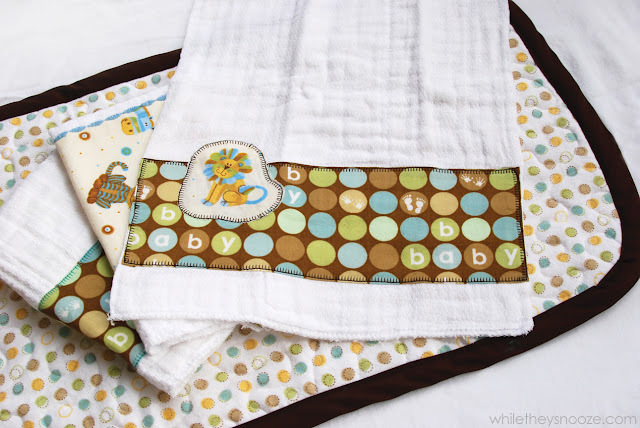 Just washed and dried everything before I started... Burp cloths shrink and shrivel up a lot when you wash them. Just press everything before you start sewing. 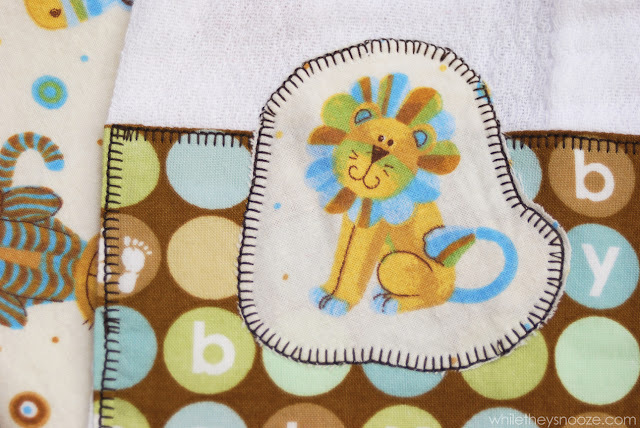 Blake's nursery theme is Lion King so I was excited to find a fabric that had little lions on it. I used a blanket stitch to hold him on. 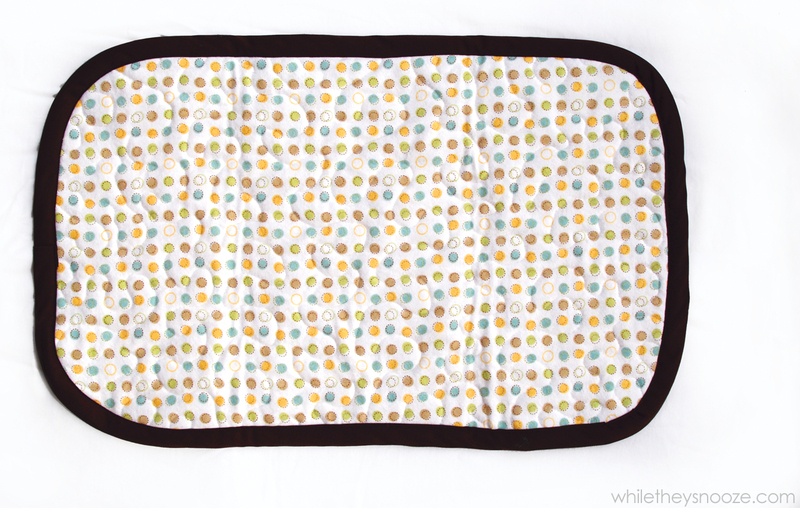 And the last thing I made, which is a GREAT first time quilter's project, was a changing pad. I used the same flannel from the blankets and cut it to size (about the size of a baby?) using cereal bowls to trace the rounded corners. Then I cut a piece of batting the same size. Pinned everything together and did some meandering or free-motion quilting. I used the same technique in the quilt I made for baby Levi. It's really not hard! And, this is so small it's the perfect thing to practice on. 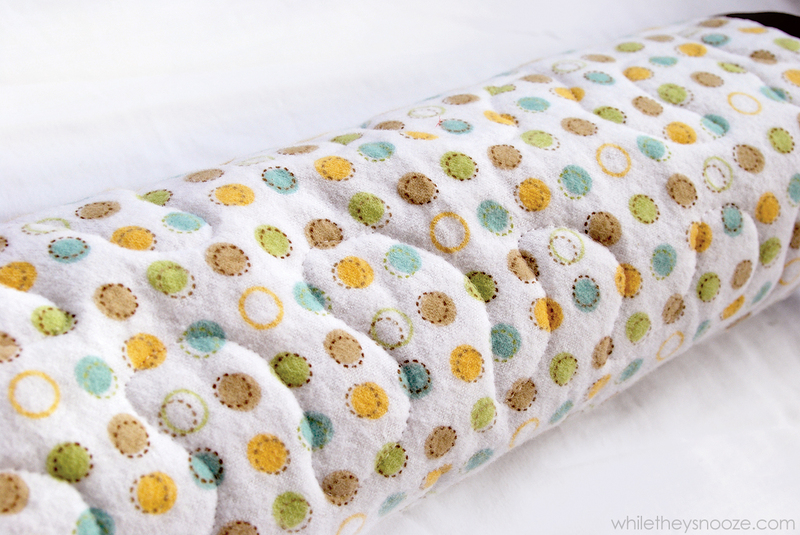 After all, the baby is going to poop all over this... does it really have to be perfect? 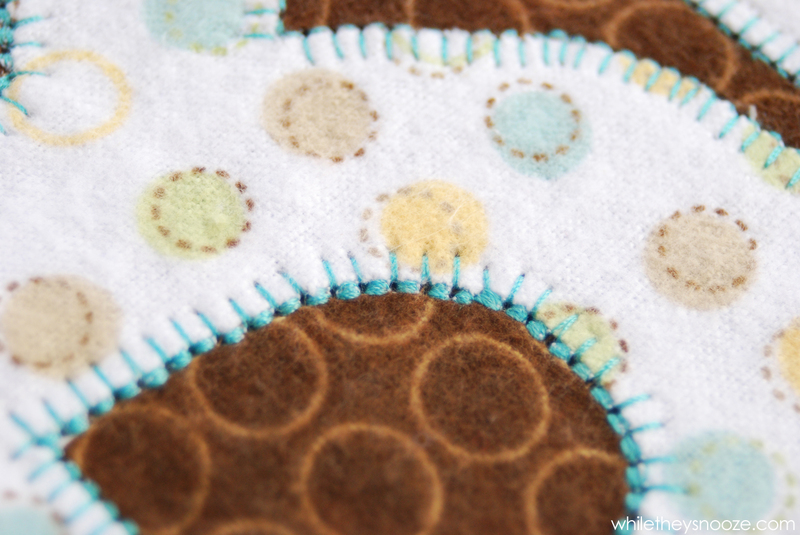 See the quilting? So soft. Last thing to do is add bias tape. I played with all of the decorative stitches again. So simple and makes it look so finished. Done. Cant wait to meet my new nephew! I have made one goal for myself for 2012...learn to sew! I am gonna do it, too! Get a sewing machine and read the manual! That's what I did. I still read my manual all the time to figure stuff out. Do it!